Temperature-sensitive items such as medicine, vaccines, frozen foods etc. need to be preserved in the correct temperature levels after production to consumption. During these chain of operations, they go through various activities such as air transportation, road transportation, sea transportation, storage at wholesaler, storage at distributor and finally at the final seller. During all these stages the temperature has to be maintained properly and weakness in any of these links will cause irreparable damage to the item. Eg. Many of the medicines are stored between 2°C and 8°C until administered to the patient. If the temperature goes above 8°C or below 2°C even for 1 hour, the medicinal values will be lost. 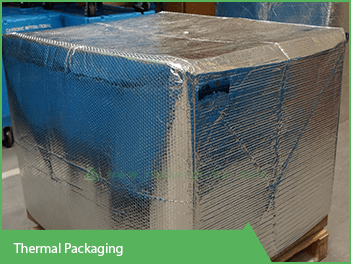 Thermal packaging solutions are critical to store such items during the entire process. There are two types of packaging solutions being provided by us. 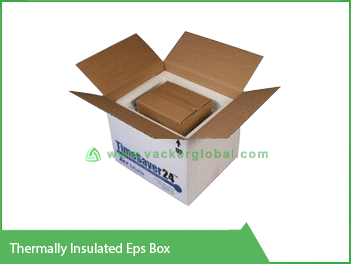 These are boxes with EPS insulated walls. Once the box is closed with proper cooling elements inside the box, the temperature will be retained up to 5 days based on the selected model. 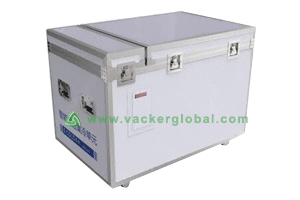 These are portable refrigerator boxes which will keep the items at desired temperature continuously. The electric power can be taken from either a normal power plug or from the car or van.